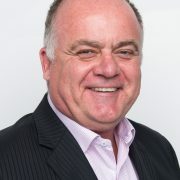 With over 30 years of practical hands on business and business sales experience Martin Smoothy has overseen over $200M worth of SME transactions. He is committed to delivering positive results for vendors and purchasers alike. His strong network of accountants gives him access to quality, well documented businesses along with qualified purchasers. His ability to understand the requirements of buyer and seller as well as having insight to engineer a mutually agreeable contract is highlighted by the volume of sales he has completed. His acknowledgment that business sales are a process and not an event has been fundamental to his success over the many years of business broking. Martin has transacted business sales from 150K to multimillion dollar enterprises and is able to present to all levels of purchasers. If you’re looking for a competent business broker to sell your hard earned asset Martin will meet your requirements. Martin is a registered Business Valuer and can document a Valuation for banks, court, ATO and any other purposes. In addition, he is available to present as an expert witness. Martin is an accomplished ultra-distance swimmer. Having completed numerous times the Rottnest Island Channel Swim. He has also swam the English Channel which is re-known as a pinnacle of open water swim challenges. He is a family man and is happily married with 5 children and 2 grandkids. Martin volunteers his time and resources to benefit children in an orphanage in Uganda, Africa. 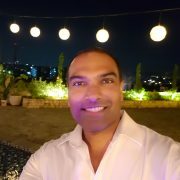 Jeremiah Jacob is a Technology and Marketing Strategist who partners with CEOs, business owners and entrepreneurs to grow their personal and professional brands, human-to-human. After spending 15 years working as a business broker and property developer, Jeremiah. knows what truly drives conversions, marketing and sales—and it’s not mastering the marketing flavor of the week. It’s how well you connect with the people you’re trying to help and communicate your understanding back to them. Jeremiah. has an increasing public profile. He has an upcoming international book due for release in 2018 and is an in-demand public speaker. Since March 2017 Jeremiah has addressed over 18,000 people personally in speaking engagements. He is currently developing a native web-based platform that is directly structured to benefit SME’s in regards to facilitating an exit strategy. Philanthropically, Jeremiah speaks to Aboriginal youth in schools across Western Australia in partnership with the Clontarf Academy. He also provides family coaching to men in South America, Indonesia and Australia. He regularly speaks in prisons in Australia and Indonesia. 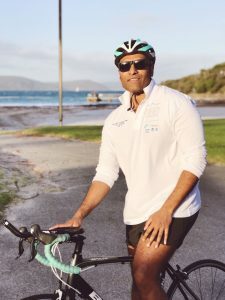 Jeremiah has experienced great personal challenges but has turned that into practical life lessons that can be applied to business, relationships and health. He firmly believes in not making excuses but dealing with the cards you’re dealt with. This is a business principal and a life principal. In addition to his extensive business and philanthropic experience, Jeremiah is a musician and swimmer. Jeremiah studied Economics at the University of Western Australia and has won the Leadership award for Young West Australian of the Year. 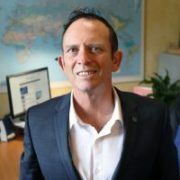 Wayne qualified as a Sales Representative in 1996 and as a Licensed Real Estate and Business Agent in 2002 then establishing and developing Goldfields Realty into a market leader in residential, commercial and business broking. This business was successfully sold in 2015. Prior commercial experience was also gained in the mining and exploration industry establishing a Consultancy business from 1984 through to 1996 dealing with a number of the leading exploration and mining companies in Australia involving acquisition, management and retention phases. This cross section of experience in dealing with both big and small operations, individuals and companies provides an ongoing source of productivity including the development and liaison with international clientele.